The first competition for our RoboRavens was set at Durham College in Oshawa, ON. Our robot, Ravee, was set for competition and a confident team arrived to Oshawa ready to play from March 3rd to 5th. We began our competition with a couple losses, picking up a win after those however. After this, we hit a slow patch of losses but after this, we made notable changes to the robot and were able to pick up a win as well as a draw to finish off our trip. 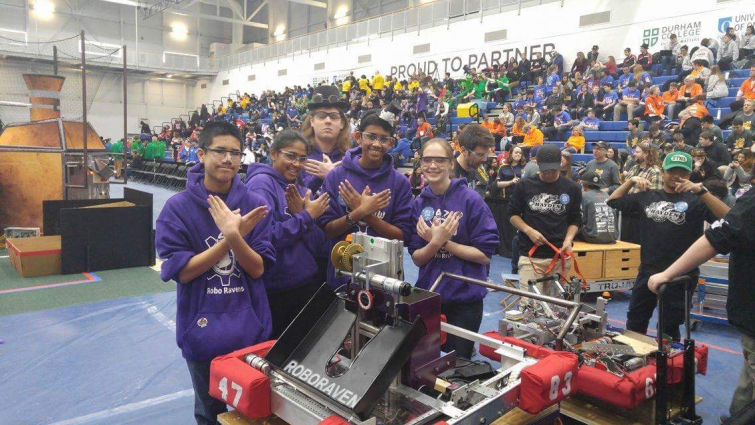 We hoped that we could improve by the end of the tournament, in preparation for our second competition, and we did, which can only mean good things for our next opportunity to compete, at Georgian college in Barrie, ON. Though we may not have earned the results that we wanted, or placed as high as we desired, the RoboRavens learned a lot from this tournament, as we made changes to our robot to improve performance and hopefully help us to pick up steam for our Georgian College competition. This tournament also helped in the case of team building, as everyone was together, starting 5 o’clock in the morning, to 9 or 10 o’clock at night, making even stronger bonds between the RoboRavens. We want to thank Durham College for a great experience, and we hope to improve for our next competition! 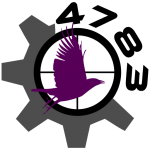 Check in soon for further articles covering the Roboravens’ 2017 FRC season!